Since then we have had a flurry of comments and speeches suggesting the Fed was engaged in a re-think of its monetary policy. Heck, as we said yesterday, just look a the title of the upcoming Jackson Hole Symposium: Designing Resilient Monetary Policy Frameworks for the Future . 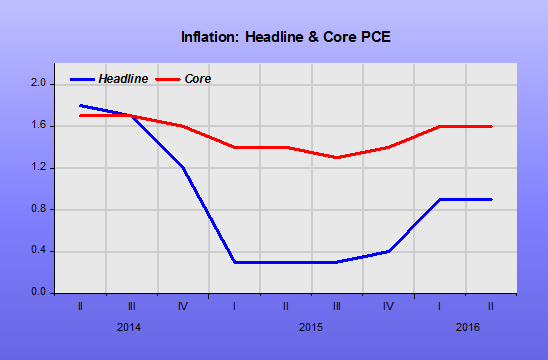 “Second, inflation targeting could be replaced by a flexible price-level or nominal GDP targeting framework, where the central bank targets a steadily growing level of prices or nominal GDP, rather than the rate of inflation. 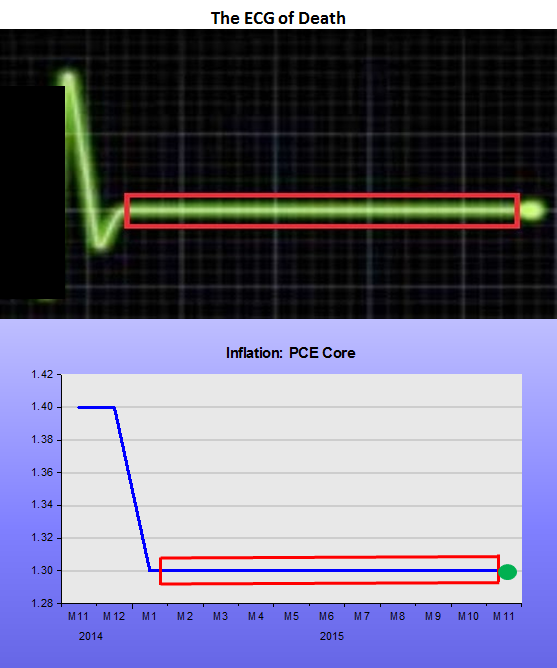 These approaches have a number of potential advantages over standard inflation targeting. 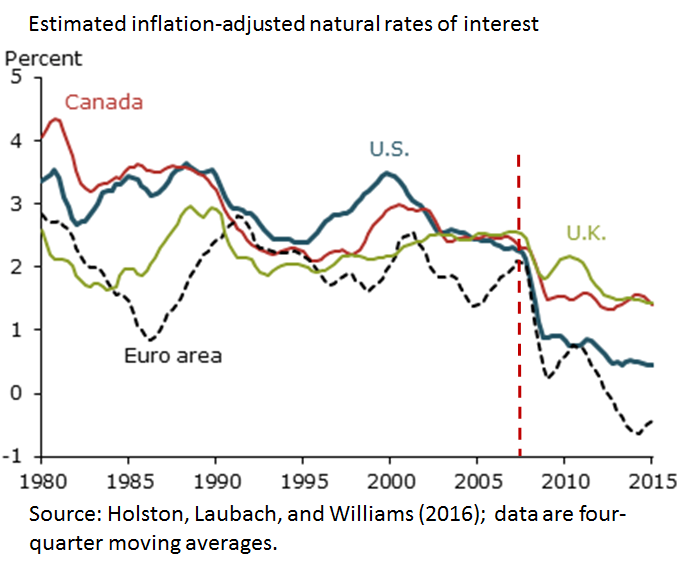 For one, they may be better suited to periods when the lower bound constrains interest rates because they automatically deliver the “lower for longer” policy prescription the situation calls for (Eggertsson and Woodford 2003). 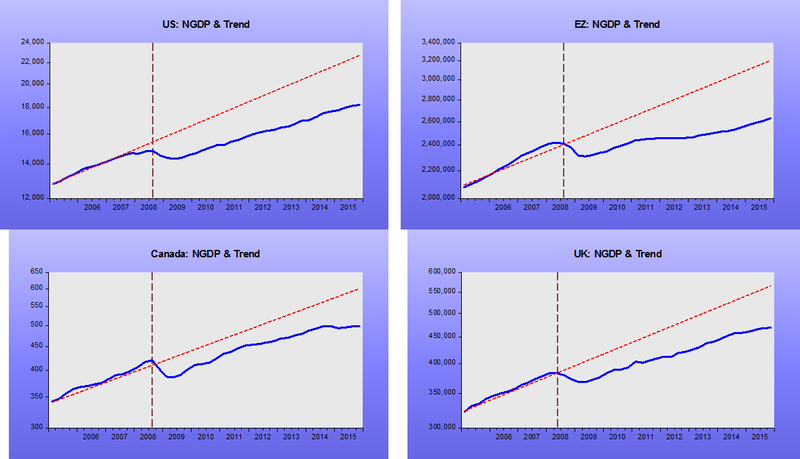 In addition, nominal GDP targeting has a built-in protection against debt deflation (Koenig 2013, Sheedy 2014). Finally, in a nominal GDP targeting regime, a decline in r-star caused by slower trend growth automatically leads to a higher rate of trend inflation, providing a larger buffer to respond to economic downturns. Of course, these approaches also have potential disadvantages and must be carefully scrutinized when considering their relative costs and benefits. It’s a shame he doesn’t mention Scott Sumner, the tireless campaigner for NGDP Targeting, but the blogosphere knows where the idea has come from even if a Federal Reserve President can’t be open about the fact. But a Federal Reserve President who concludes by quoting Machiavelli probably knows a lot more about successful politicking than a mere blogger once of Bentley University. 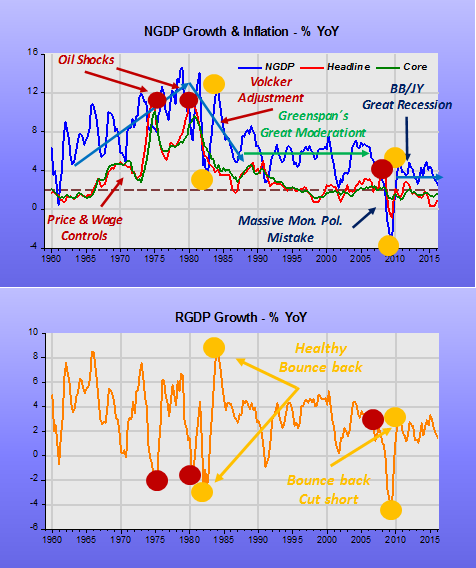 “Conclusion – Economics rarely has the benefit of a crystal ball. 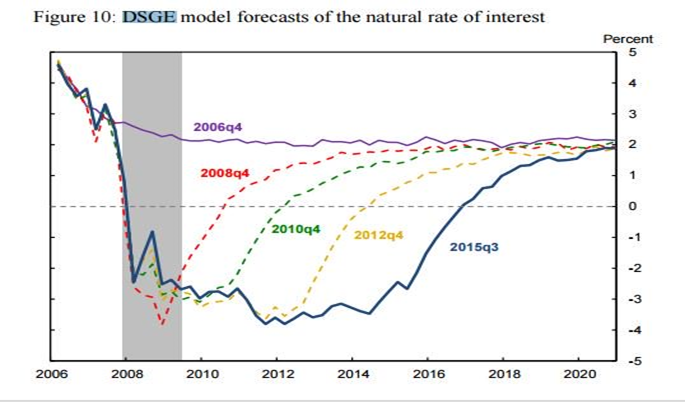 But in this case, we are seeing the future now and have the opportunity to prepare for the challenges related to persistently low natural real rates of interest. Thoroughly reviewing the key aspects of inflation targeting is certainly necessary, and could go a long way towards mitigating the obstructions posed by low r-star. But that is where monetary policy meets the boundaries of its influence. We’ve come to the point on the path where central banks must share responsibilities. There are limits to what monetary policy can and, indeed, should do. The burden must also fall on fiscal and other policies to do their part to help create conditions conducive to economic stability. 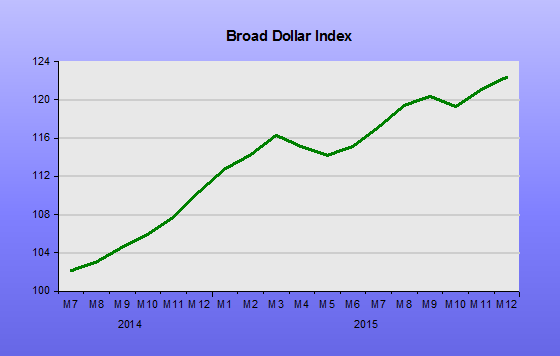 Yesterday we said that there had been little obvious reaction in markets. Well, today there has been a little more. Specifically in the USD, which weakened overnight on the back of the “influential centrist” changing his views. Bond markets do not agree as the yield curve remains flat and low. 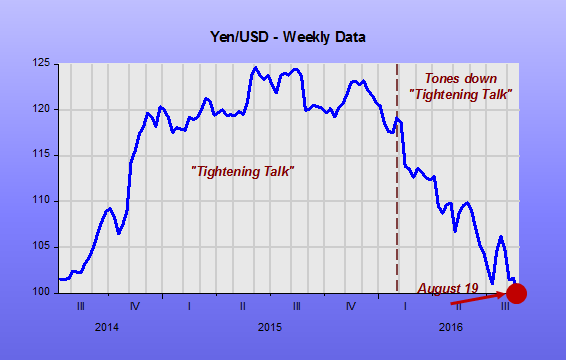 Bonds seem to be responding more to a perception of incipient economic weakness than a revolution in monetary policy. As true Market Monetarists will only know there has been a revolution when the Fisher effect (aka expectations effect) swamps the liquidity effect as bond prices crash in anticipation of higher nominal GDP growth. The “eagle” has landed a long time ago, only in the wrong “runway”. It´s now in the process of shifting even lower! Update: Seems his pedals were switched a long time ago! 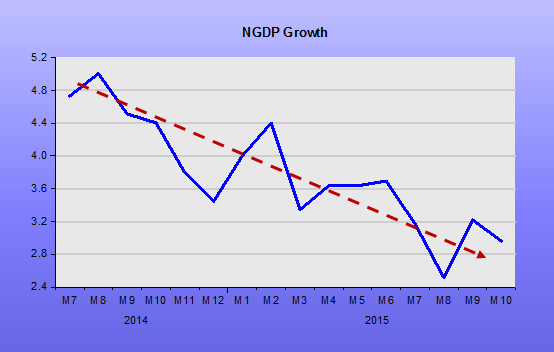 Note that was the time NGDP growth began to slow down. Thinking his foot was on the accelerator when in fact his mouth began pressing the brake. 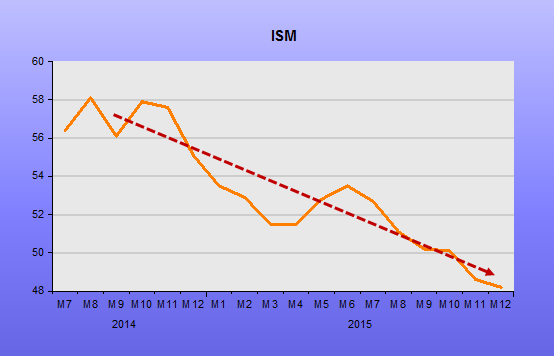 With monetary policy makers of this caliber, no wonder things are getting worse! “What I worry a lot more about is when people forget about the financial crisis, when they forget about the terrible things that happened,” he said, suggesting that may not happen for another five or ten years. Nothing he says makes sense. 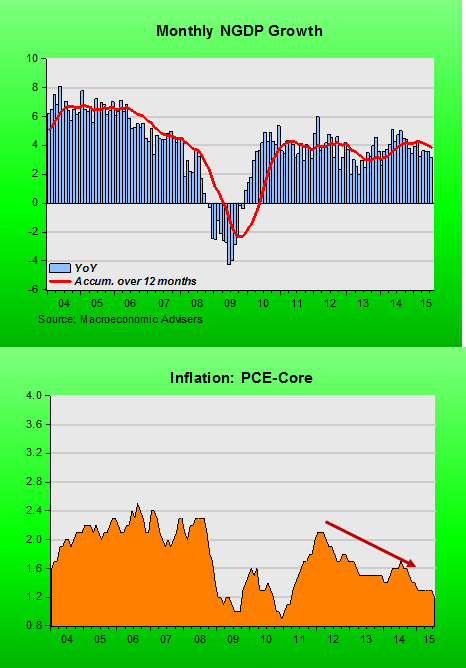 If the economy is “ready for higher interest rates”, why would that cause a “broad-based decline in asset prices”? Also, how could an increase in rates be a “sign of strength”, if the likely outcome is a “big downward movement in broad sets of assets”? 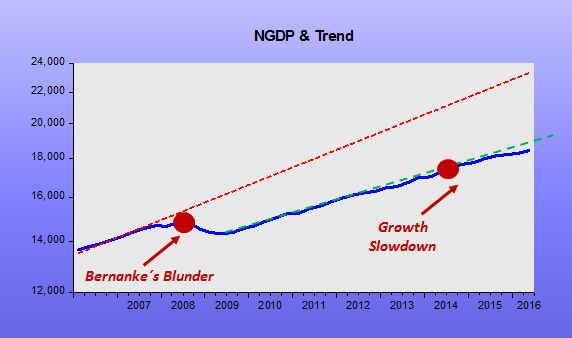 It just shows how stupid it is to have, no matter what, a “gradual normalization” strategy for monetary policy!